Kraft Oreo new avatar would have multi layer of sandwich cream with three shells and two layer of creams . Its exactly like multi layer wafer cream biscuits . There are two things that can make an Oreo better: more filling and more cookie. The latest Oreo version has both, with regular and chocolate filling sandwiched between three chocolate wafers. It's called the Triple Double Oreo, and it's finally hitting American grocery store shelves - and then our cabinets and then our tummies - this week. News of the new, stacked-up Oreo broke online back in May, and fans have been drooling in anticipation ever since. A single Double Triple Oreo cookie has 100 calories and 4.5 grams of fat. 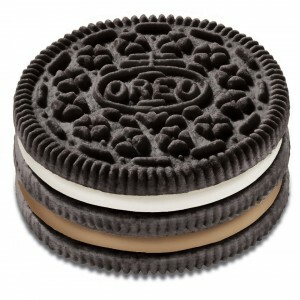 Kraft said the idea for the newest Oreo came from an Argentinian cookie called Oreo x 3 ("por tres"). "The birthplace of OREO is America, but it's one global cookie," says John Ghingo, OREO's marketing director, in a press release . "We're excited when we can take a popular idea in one country and share it with other OREO fans around the world. It's ideas like this that have made OREO the world's favorite cookie."